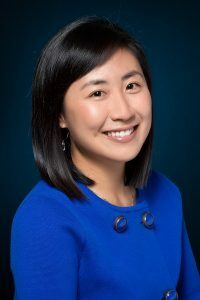 As Founder/CEO, Sheila Choi shapes and approves The Fuzzy Pet Foundation – (TFPF)’s strategies, advocates for the issues TFPF stands for, review results, and sets the overall direction of the organization. Sheila began her volunteer efforts in 2000 when she self-produced Toby’s ABC, an interactive English language learning tool for South Korean children from low-income families. From 2001-2003, Sheila served as the Development Coordinator for AmeriCorps, tutoring underprivileged students at local schools in Oakland while studying as a full-time college student at UC Berkeley. After working at multinational corporations such as The Walt Disney Company and ABC NEWS, she founded TFPF in 2005. Sheila’s ultimate goal is to bring about a day when every cat and dog born has a nurturing, responsible, and lifelong home – a day when animal overpopulation is nonexistent. To make this happen, she tackles the overpopulation crisis at its root by implementing widespread and effective spay/neuter programs. Sheila was born in Los Angeles, CA, and grew up in Seoul, Korea. She enjoys spending time with and caring for her cats and dogs. In her spare time, she also enjoys baking vegan desserts, creating YouTube videos, making crafts, and polishing up her photography skills. Sheila holds a B.A. in Political Science from UC Berkeley, an M.B.A. from UCLA Anderson School of Management, and an M.P.A. from Harvard Kennedy School.